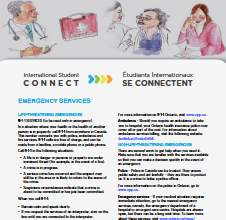 In a situation where your health or the health of another person is in jeopardy, call 9-1-1 from anywhere in Canada. This number connects you with police, ambulance and fire services. 9-1-1 calls are free of charge, and can be made from a landline, a mobile phone or a public phone. Learn more!